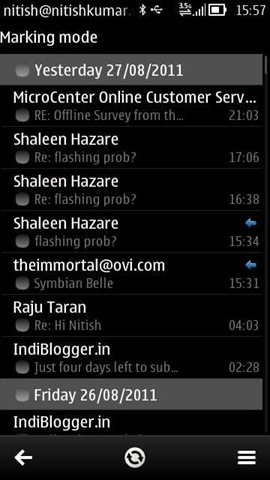 Once I got hold on Symbian Belle on my Nokia N8 then it was kind of due to bring a Layman’s Take style big walkthrough of Symbian Belle. Though still one needs to understand that the firmware, I am using on my phone is a leaked and half baked one, so there might be major changes afterwards. 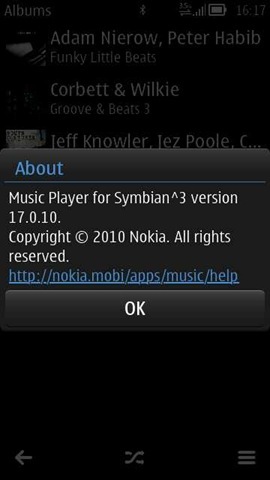 The latest firmware update to Symbian^3 devices, Symbian Belle, is what Symbian^3 PR3.0 was supposed to be. A kind of rename for understanding of n00bs rather than confusing them with various version numbers. Its something that seems to be influenced from Android itself (Eclair, Froyo, Gingerbread, IceCream Sandwitch, Honeycomb ….). 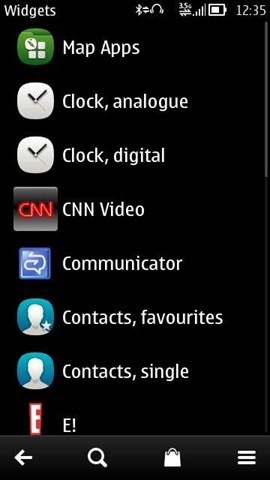 Symbian Belle is the first Symbian^3 update that is supposed to bring major UI changes throughout the Symbian^3 lineup. 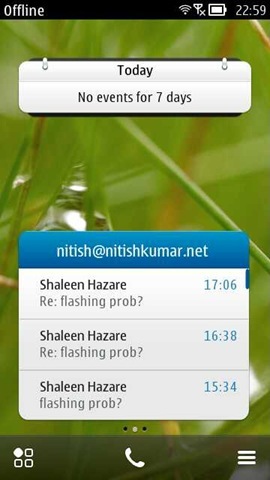 It will change many Symbian UI paradigms and also the way, we know Symbian till now. 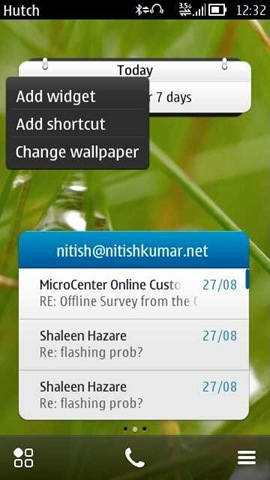 A true modernization of Symbian without alienating existing user habits. 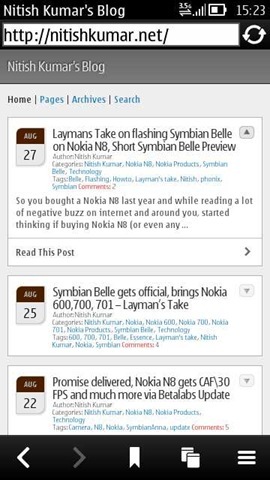 Is Symbian Belle the last stop for Symbian^3? While developers and insiders were already aware of it, Nokia has confirmed officially that despite of the fact that Company is moving toward Windows Phones, Symbian Belle will not be the last update to Symbian platform. We already seen glimpses of Symbian^4 back in Feb 2010, which though definitely feels outdated now, but still there been lots of references to Symbian^4 in Symbian bugzilla since then and so hard to deny the fact that Symbian^4 will be the next step. Sure, it will have a new name like Anna or Belle and also there are no exact ideas that what features it’ll bring on board as many of the Symbian^4 changes are already being incorporated into Symbian Belle itself. But there is a big hope. 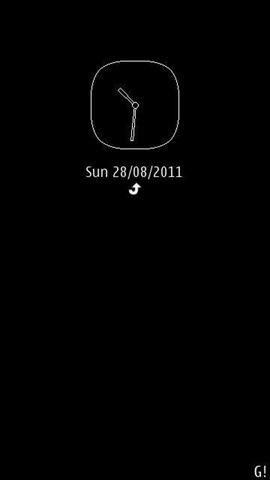 We have seen some changes in the Lock Screen with Symbian Anna itself, when we got notifications on lock screen, but Symbian Belle takes it a step further. Not only there are cosmetic changes in Clock, which feels like 3D now, you see a glossy and colorful lock screen rather than old black one. Yes! the standby screen will still stay black (first screenshot) without any mention of signals, battery, bluetooth, data connection etc, but that is totally understandable as queries all those values takes precious battery life that sure would have been unnecessary in standby. Wondering that how you can change the wallpaper on the lock screen? There is no option for doing that. This is actually a transparency effect and will show up the same wallpaper as the home screen behind the lock screen. Means if you locked your phone from 1st screen then it will show up the wallpaper of 1st screen and if locked from 2nd screen then it will show up of the 2nd. 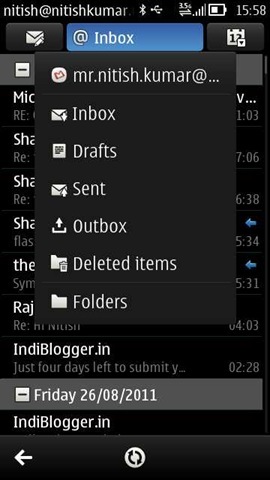 Symbian Users and developers had a long pending complaint over the notification bar of Symbian that was taking too much of precious screen space (Check the third screenshot given below). 1. 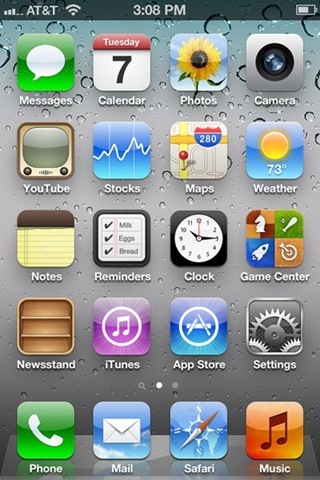 SGS Home Screen, 2. iOS Home screen, 3. 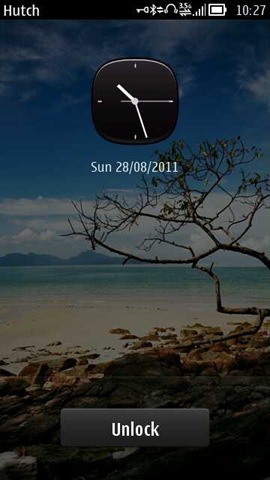 Early Symbian^3 Home screen 4. Symbian Belle. 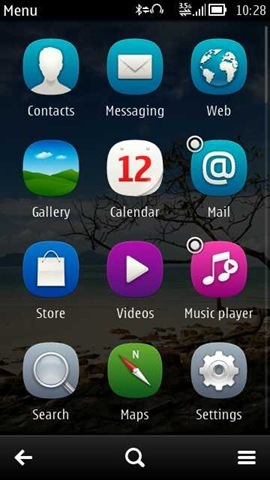 Its very interesting to see the similarity between first and last one means Android (TouchWiz) and Symbian Belle. But still its a welcome step for Symbian users that at least its getting at par with others with Symbian’s reliability and battery life. It was also good to see that we are able to pull the drop down bar throughout the UI and within Applications (except when they are in full screen mode like Gravity). While it seems that ultimately everyone following Android-ish way of notifications which been one of the excellent direction so far, I found it a bit disappointing that Nokia decided to completely copy the same without adding anything more into it. 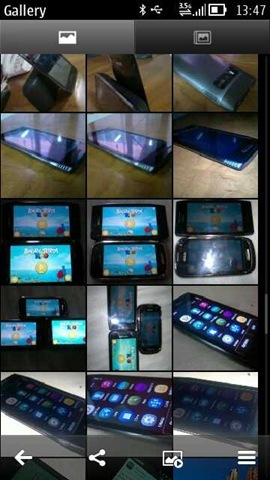 The above screenshot shows that how much of Android got copied into Symbian Belle and how much got left. On the positive side, it was good to see mobile Data toggle button there as it might help to those, who wanna keep a strict control over the mobile data usages as it provides an easy switch between wifi and Mobile Data. On the negative side, notifications are better but not as much functional as Android or iOS5 (which are much better over even Android now). You can’t clear individual notifications or even all at once, no email/social notifications and even not sure if notifications API is available for third party developers yet. 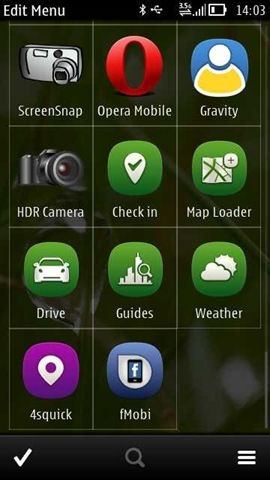 It’s revolutionary for Symbian users for sure but need a lot of work to be at par with other platforms. 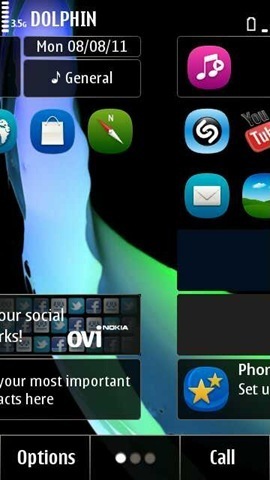 For people asking for the count first, let me confirm that leaked Symbian Belle for Nokia N8 contains a max of three home screens, not sure about what will happen in final firmware. 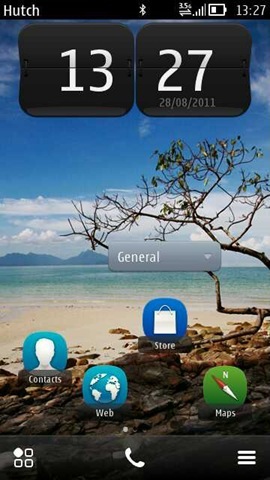 While smooth draggable Home Screens like Android have arrived since Symbian Anna (first screenshot), there is a change between both the implementations (Android vs Symbian). 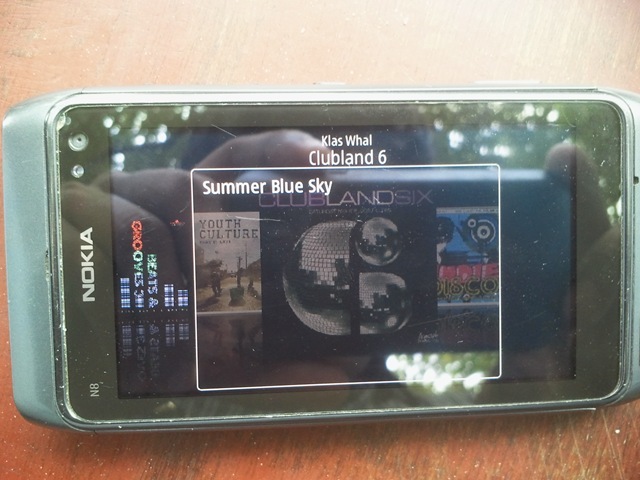 There are no Panorama or Live\Animated wallpapers for Symbian yet nor any future plans. Each home screen will have its own wallpaper and while there will be same wallpaper in background while dragging, it will smoothly fade in for the wallpaper on next Home screen. In the above screenshots, you can see that now there are a lot of choices in widget design and widgets are richer and powerful than ever. While screen space and resolution will keep the size of unit widget like same 80×100, but the screen is divided into 11×7 rectangles rather than earlier 6×4 rectangles, which definitely make the user feel the system as more flexible. 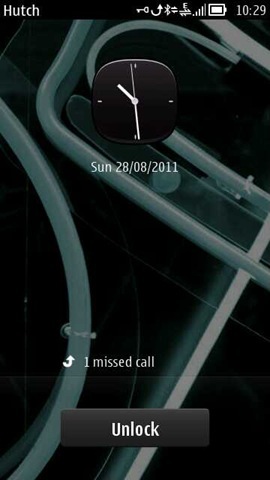 Not only that but dragging a widget from one home screen to another is finally possible. One more interesting thing about the new Home screen is the orientation handling. Landscape and Horizontal screens both seems to be storing their location co-ordinates separately that is definitely much more flexible and intelligent approach. Loved it. 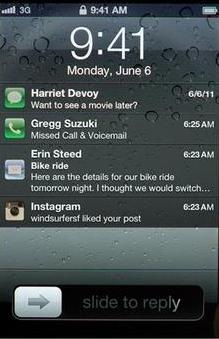 One widget that I liked most was the Email widget. 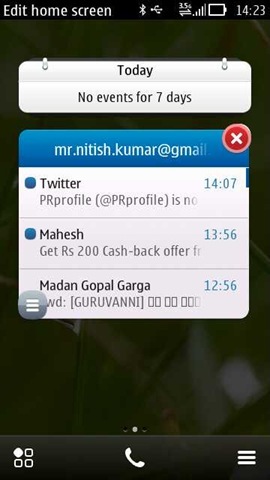 It is scrollable, shows last 20 mails for an account (no unified emails from multiple accounts), shows off the news mails by blue circle at left and have a decent new mails alert at the right top of widget. I would have loved if there was a simple switching between two or more accounts (you need to go via bottom left icon in arrange mode), but still I liked the current implementation. You may have multiple email widgets for multiple accounts as well, but I think widget size will limit that possibility. 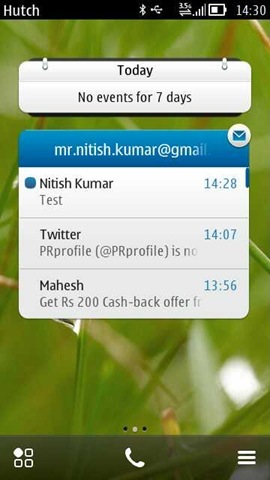 Not sure but probably Samsung Galaxy S2 has a similar email widget. I wish @janole may think of something similar for his Gravity as well. 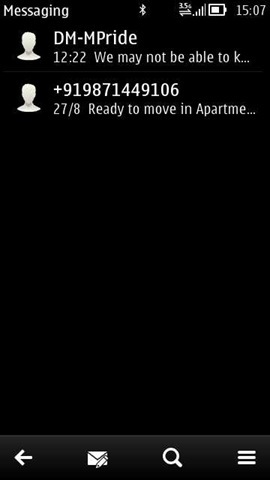 With Symbian Belle the popup notifications are in center and a bit richer than earlier. Though we would have liked some kind of transparency effect over them and option to skip them by tapping anywhere out, but thing to think is, if Nokia gonna provide the same functionality to developers as well. Some innovative ideas from third party Developers along with available functionalities can definitely change a lot about the overall experience. If we remember those last leaks about PR3.0 back in Feb 11, then you can see that things change over time. Its not exactly the same as we seen in those pictures, but is similar. 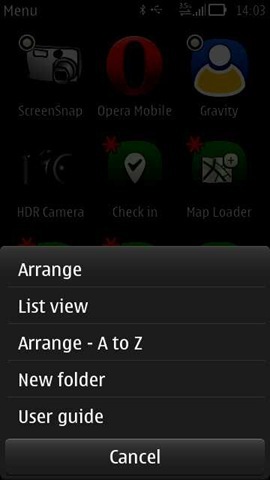 Finally the two menu approach of Symbian (that was taken straight away from the non-touch phones and been a big bugger of all time) going a little away and giving in the place to a modern UI. Two Menu system is gone, bulky notifications are gone and in place of text, we will have icons for actions like Back, Call and Options, which not only looks better but saves the precious screen space and much better scalable too. Presence of portrait split input and search option integrated in bottom bar scores high for the usability. For backward compatibility, options\Back icons are still here. 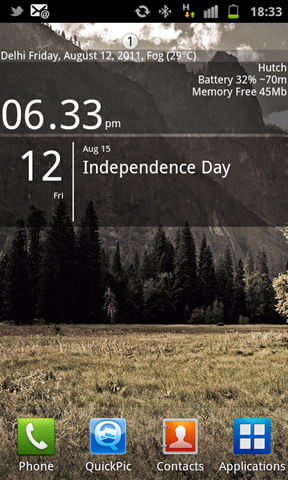 In Menu, we find the same style background as was with Lock screen. 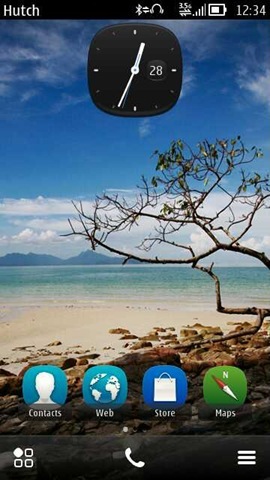 You will find the same wallpaper as transparent background as was of the Home Screen from where you are coming. While the Folders can still be created, but out of box, you find all the apps in one scrollable menu like some Android Launchers (No multiple screens like iOS or TouchWiz). 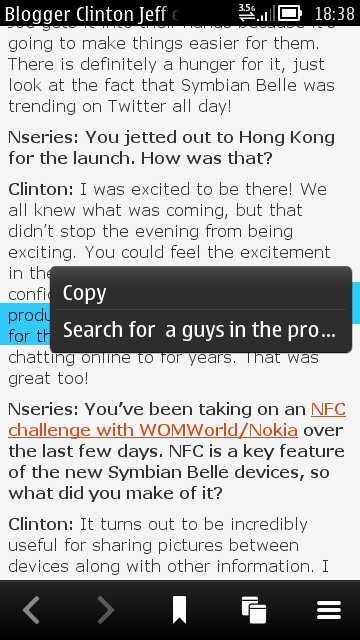 The long press context menu got one more option that is add to home screen. Also the new arrange apps screen look much nicer than earlier. 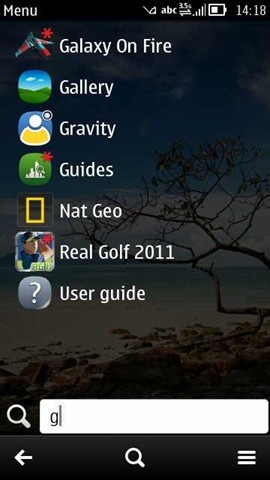 One more addition is the new application notification as red “*” on top left of the app icon. 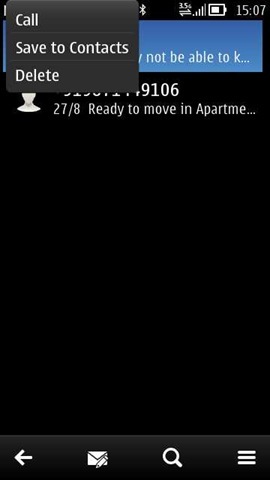 Its been like this in iOS and some of Android Launchers earlier. 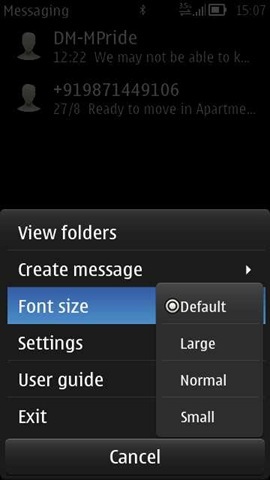 Sure a welcome step for Symbian Users. 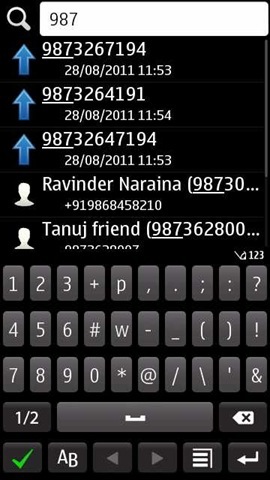 While Symbian Belle brings some of the UI changes, there were some changes in the new contacts app since Symbian Anna already like Remote Contact Search in your Mail accounts and contact merging ability. 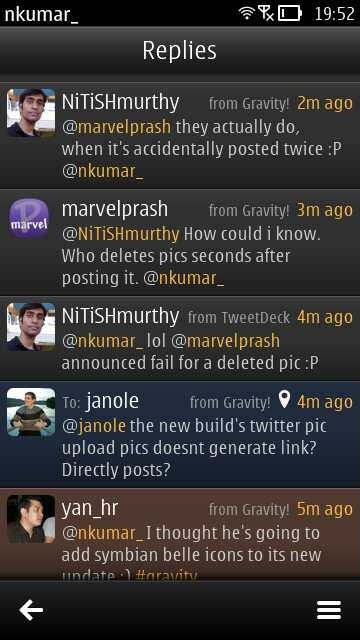 Its strange to see that Social Network Integration or Chat Integration got missing with the update. 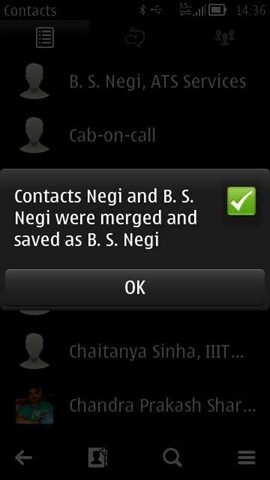 May be its not finished yet but the contact card definitely changed and has became less functional now. While the minimalistic approach might be better in some sense, I would have liked to see something that has been in Maemo. Let’s see what happens in final product. 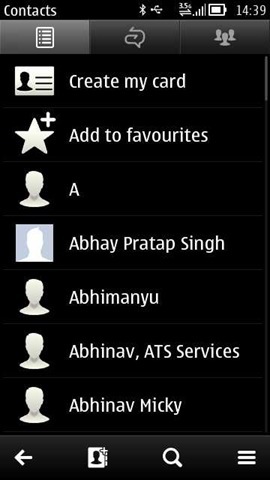 While there are some minor changes in the UI, it again disappoints to see that contact search by numbers is still missing from Symbian Belle. 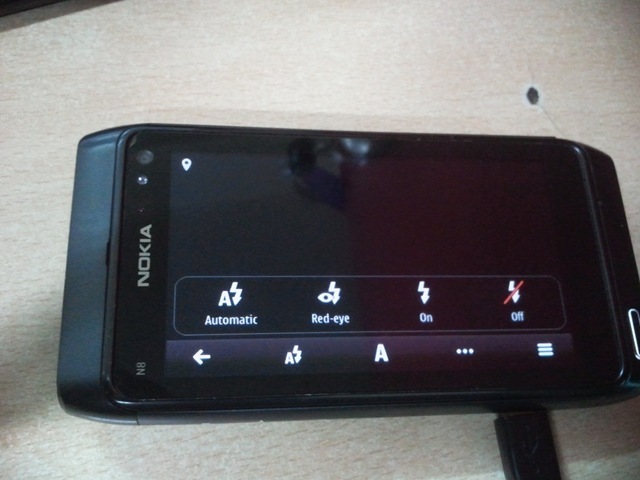 We might expect some app coming from Nokia Beta Labs to fill the gap, but it should have been implemented within the core. I never come to know that what’s been the reason that Nokia still avoiding the same. 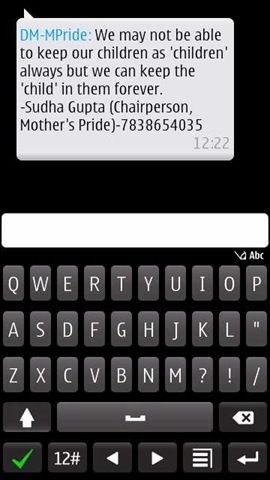 While possibility of searching by name in SMS Conversation app might be a great news for many, Back Menu and Fade-In effect while navigating through pages will add a lot into the experience. Also like you see on the top of screen in last screenshot, easier navigation from one SMS to another and easy selection of text should be a great news. 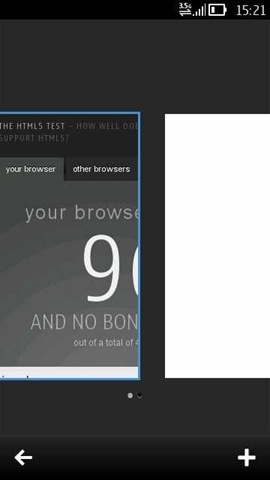 Even though the leaked build on my Nokia N8 didn’t had a very great performing browser in terms of HTML5 Score (just 96 without any bonus points), in real, I never had any issue with rendering and speed. 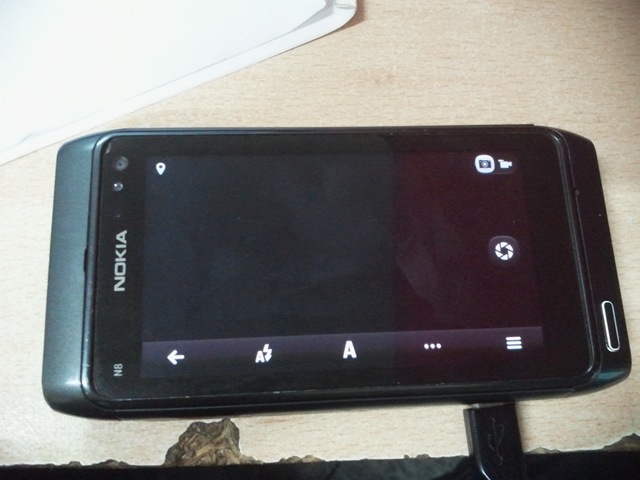 Scrolling was just beyond any Symbian Build so far pinch to zoom/ rendering etc been smooth. Its not a tabbed browsing experience again, but multiple window tab is in bottom navigation bar that almost equivalent to tabs. 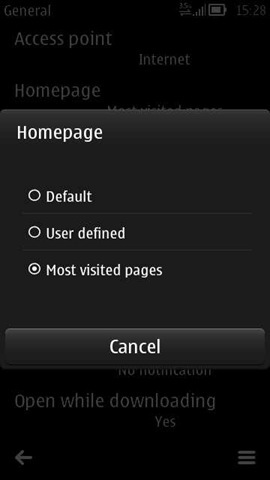 Though there is nothing like speed dial, but if you set your homepage to “Most Visited Pages”, then you can find kind of same in your browser as well (though not customizable like speed dial). Also easy copy option in browser should also be appreciated. 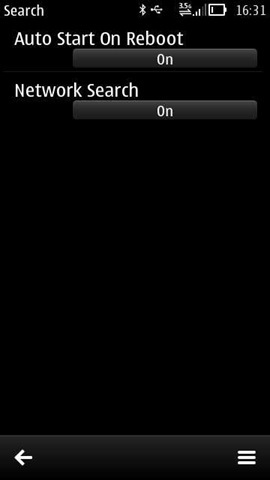 There been some incremental changes in Symbian Gallery from PR1.0 to PR2.0 and PR3.0 a.k.a Symbian Belle isn’t any behind. While the performance is snippy, split screen sharing etc makes it more better. 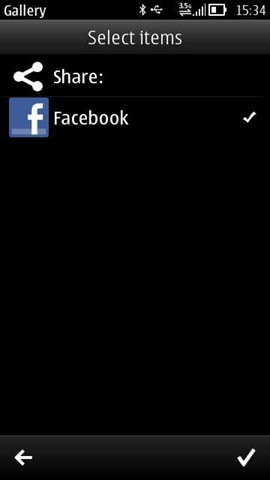 Though still I wish if there were automatic folderwise, datewise albums, but every positive step for Symbian is always welcome here. We need it. 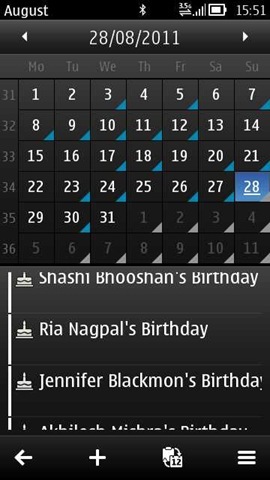 While the date widget is already very new and sleak, the calendar app is also blessed with the new navigation UI as rest of the apps. 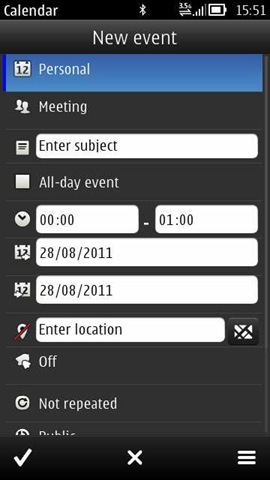 Functionality wise there seems to not much changes over already brilliant Symbian Anna calendar app. The changes in Email App might be cosmetic in nature, but as I already mentioned, the biggest upgrade was the Email widget. 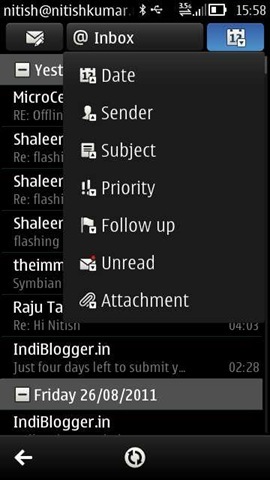 Marking mode is circular style everywhere and allows you to select more than one emails, which is missing from my Galaxy S. Though I need some longer time to evaluate the same but first 3-4 days has assured me that mails are working at least if not the push actually. When I configured mail, then it was like providing email id only. It doesn’t asks for agreement to any service and I didn’t configured manually as well, so it should be half implemented or may be not integrated with Nokia servers yet, but in last days, I missed no mail and test mails get delivered within 2-3 mins if not within a min. Good news finally. 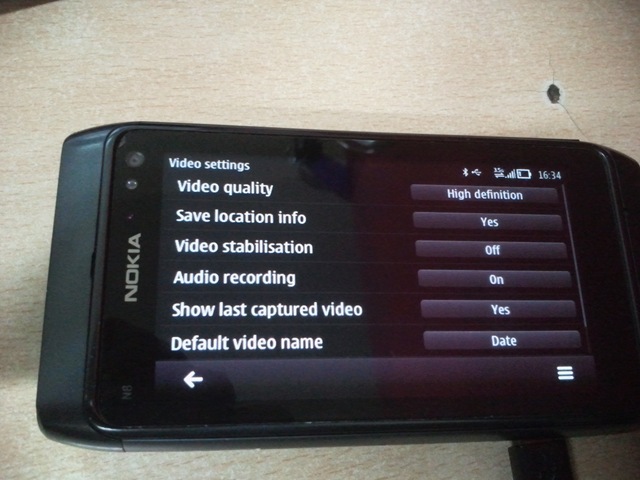 While one of the most simplified in looks, Symbian^3 video app been a peace of beauty about performance. Not much into customizations, but still provides you almost everything to enjoy the multiple format videos in your phone. 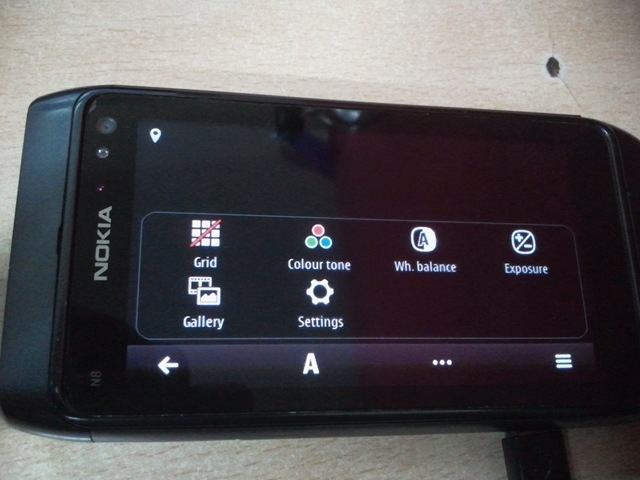 With Symbian Belle now the controls have moved to the bottom which makes it more natural now. 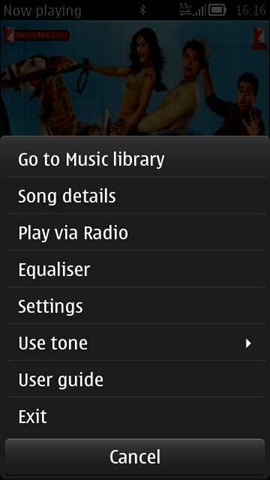 While functionality wise, I was unable to find any big upgrade in Music player of Symbian Belle (in comparison to Symbian Anna one), the only changes were the new kind of transparency effect while choosing one of album cards and side swiping on album art to change track (though its without any animation of Fade-In effect that is strange but very handy). Still no custom presets or equalizers. 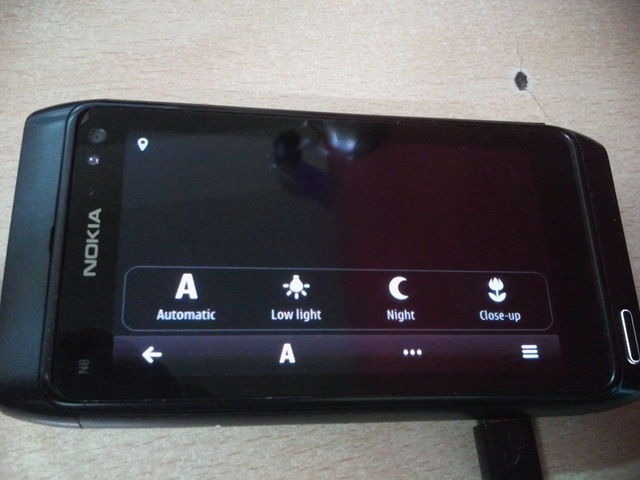 While Nokia and @phonedaz have already released the similar Camera app for Nokia N8 via Betalabs so the UI will be less of a surprise to most of the users, but its seriously a big upgrade over the last UI, if you remember. Video part has also got 30fps and continuous auto focus though there is no mention for the same within the app itself as these are kind technical details. No option for switching off Continuous Auto Focus like the earlier released hacked mod as the official implementation is smart enough to handle various situation without any issue. While flashing to Belle, I was skeptical about the camera part only as wasn’t wishing to be long on leaked Symbian Belle if the camera app performs mediocre or any bit lesser than original and the verdict is, I am glad that I switched to Symbian Belle. Though it might be a bug, but the leaked Belle firmware opens camera by pressing camera key, even if the screen is in locked mode. Not sure, if its intentional or accidental. 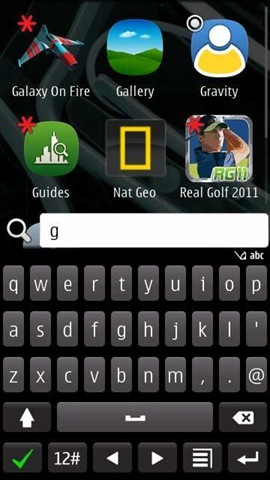 While the same app been seen in Symbian Anna as well, but there seems to be many of the performance improvement in the search app on Symbian Belle. 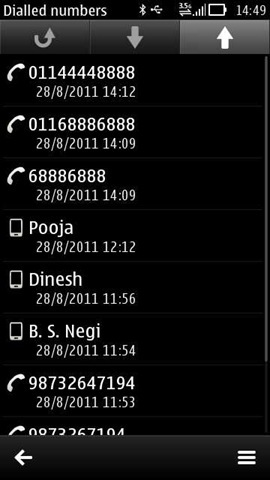 The only place, where you can search for numbers in your contacts. 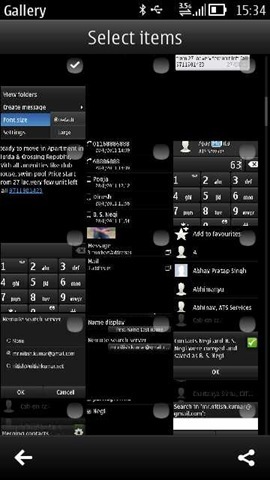 Those who blamed Symbian for lack of flashy animations, will be shouting a little less now due to Fade-In effects filled in almost all the place throughout the UI. The wonderful part is, all these animations doesn’t seem be slowing down the phone or even eating more battery. Its not always a good experience on Symbian once you install too many apps and fill up your memory with crap and background processes. 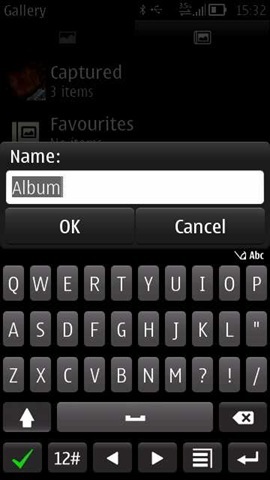 But with Symbian Belle, it feels really different. Before trying Symbian Belle myself, I was thinking that they might have filled in some animations when App is processing in background, but once used, it was like “from where the hell, its getting processor and such speed?”. 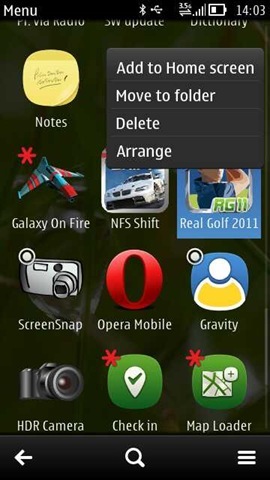 I really wonder that how optimized and less resource hungry software Nokia people and Symbian can make. If this is an 680 MHz ARM processor only then what if some 1GHz etc? I never really used myself, so can’t confirm but one of the friend sent me this screenshot via an App Speedy Go that provides a measure of speed (not sure on what parameters). 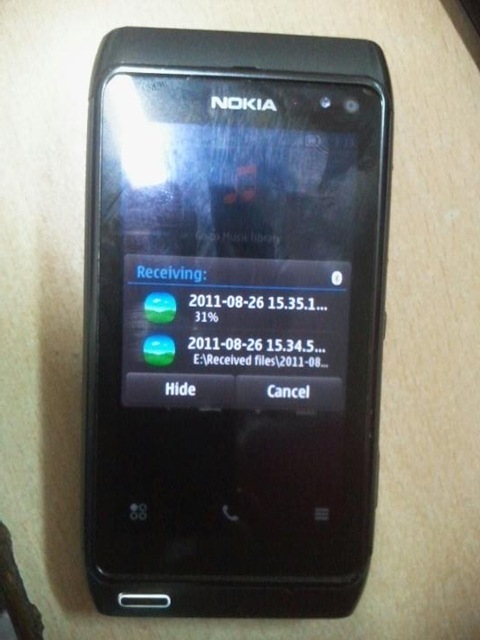 According to him, the same phone which was performing like 600-700 with Symbian Anna, now shows 2892. If its a right measure then we can say that speed improvement is like 400%. There been some reports by other users that leaked Symbian Belle is giving less of battery life in comparison to Symbian Anna, but my experience been just opposite. Its not like that it has gone some 200-250% but its sure 125%-150%. 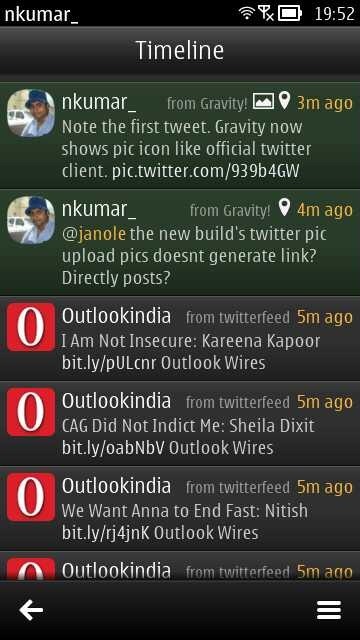 I am using my Nokia N8 with two mail id configured on it and Gravity is on like full time with 100 tweets/day, but still managing 6-7 hours on cracking 3G of my area. 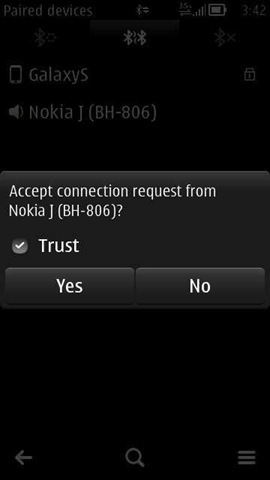 Believe me its definitely better situation than what I was used to face with same network and same Nokia N8. Its more better because nowadays, I use it outside Gravity as well.. and use it a lot. 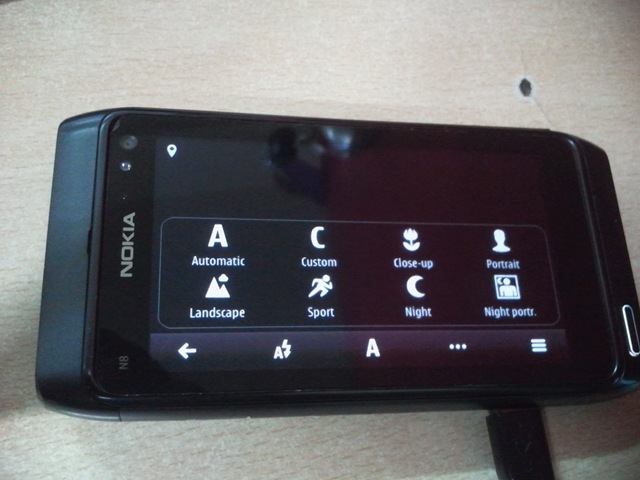 I am not really sure that if the device itself has Nokia Pure Fonts or not but it really seems so. 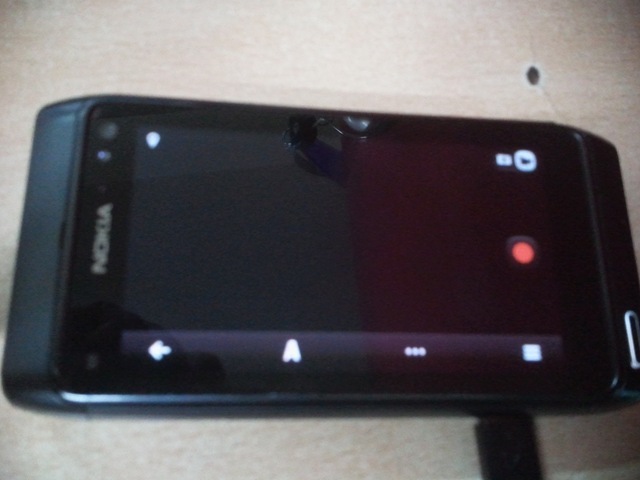 Though usual Nokia Connecting Hands video is still in the startup but before the same, we get greeted by the following screen. By the way, do not panic, if you start your phone and touch screen not responds to your taps. Its a known bug of this leaked firmware. It happens if you start/restart your phone with power cable/ USB cable inserted in it. Just remove the cable and restart it again, it will work fine. 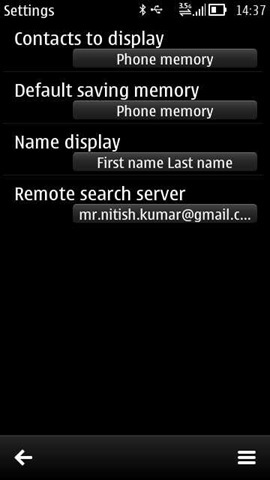 A short video preview of Symbian Belle .. 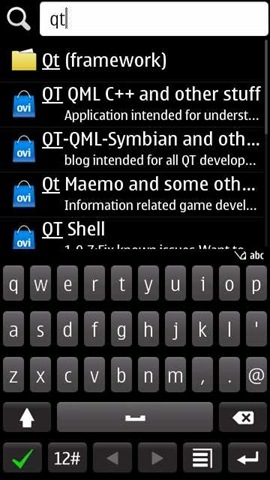 So, this was all about Symbian Belle as I learned till now or could have written. Its always impossible to cover up all the details from a user side as there will be/might be a lot of internal changes to make the experience more better than ever. 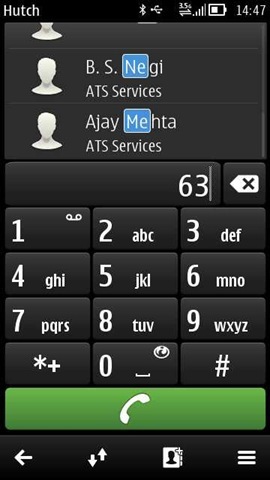 So, I can’t say anything if there comes a claim that Symbian Belle got some 50+ changes. 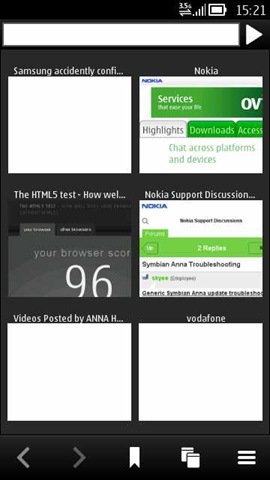 Its not like that the leaked Symbian Belle is perfect, there are a lot of issues pending like some mentioned in this thread. I don’t get any kind of vibrations as of now, no haptic feedback at all. 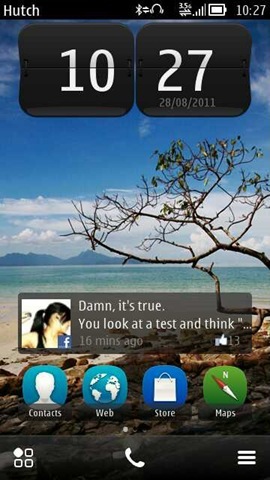 But for me, its totally usable and awesome experience to be on Symbian Belle than being over Symbian Anna. Definitely good time ahead for those who bought a Nokia Symbian phone and one shouldn’t be giving hope just yet. For those wishing to be part of the same experience, I have warned already that it might be risky and its better if you know the risks first before thinking of flashing. 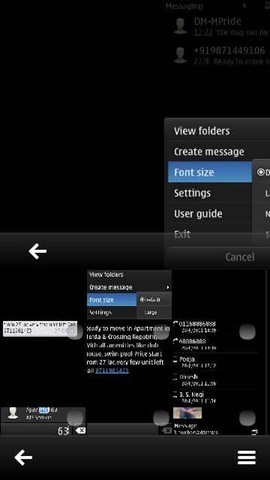 But even then if you are willing to take the risk for the changes\features mentioned above, then here is the Layman’s Guide to Flash Symbian Belle on Nokia N8. 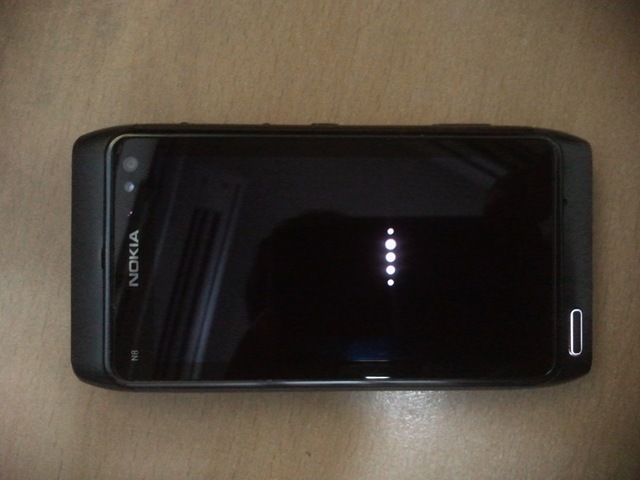 Obviously, flashing is not recommended for all and will not only void your warranty but might brick your Nokia N8 forever. I know there are many out there with Symbian Belle on their Nokia N8 or those who might be wishing to do so, so from here I wanna know from all of you, if I might have missed anything here or if you can add anything from your side, then you are most welcome. For any query related to this or anything else, you can always catch me on twitter @nkumar_ or on mail nitish@nitishkumar.net. Nitish thats a very in-depth review. Great to see Symbian coming up in line with its competitors. Again good job for such a exclusive writeup. A nice post and very informative from layman’s point of view. the vibration part can be solved by flashing a cfw of belle available on dailymobile.se website. Bravo! Only those who ever writed a review knows how complex is the task! Thanks for the time. btw great work on the review. link is inside the post. mine is the original one, no custom. Pretty good preview but what I would have liked to see is a diclaimer that this isn’t the final version of Belle so it could still change. For instance I was able to use Belle in the 701 and it had at least 10 more widgets than the ones available in my N8, it also had e-mail notifications in the tab bar and 6 homescreens, I didn’t use it for long so I wasn’t able to see more differences but there are at least a few more. The first para of the post actually talks about the same. Though I also tried to collect info related to other official handsets as well and yet to see Email notifications in notification bar. Sure, six home screens and transparency will be a subjective to final fw. 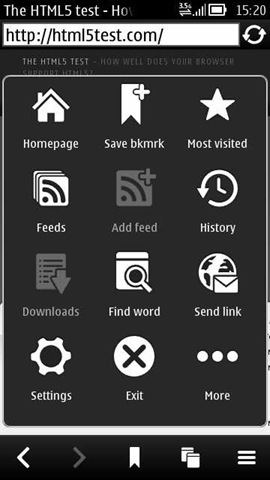 Howz kinetic scrolling. 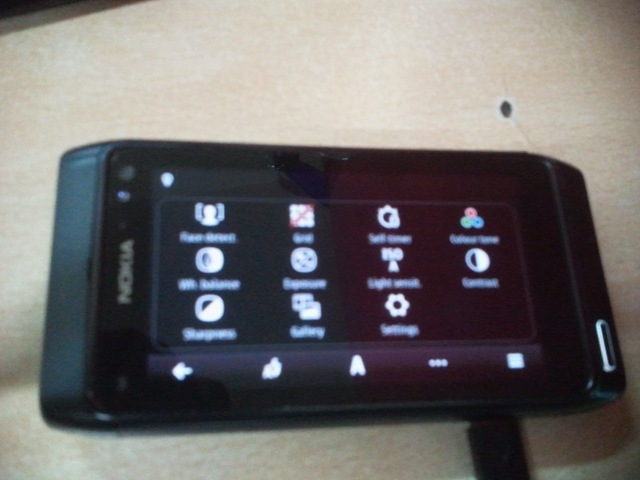 in Symbian ANNA my scrolling is very slow.. its like ressistive scrolling..!! I would say that Kinetic scrolling is totally at par with my Galaxy S with Voodoo lagfix installed. 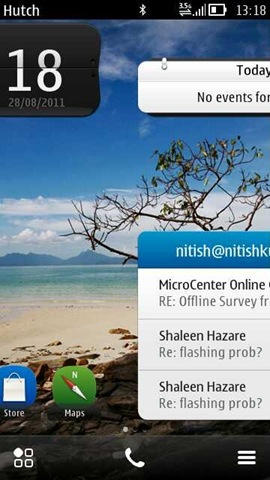 nitish, in the video ” another symbian belle preview from laymans take” the wallpapers are just awesome! can i know from where have u downloaded them along with their link? awesome job! 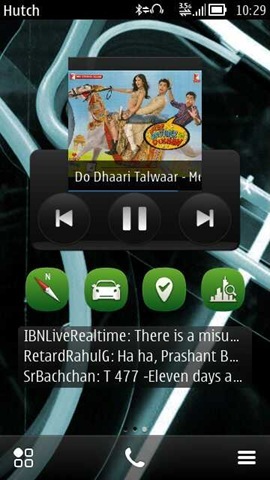 symbian belle dose not support hindi font. I hope it’s not! This would be a great feature! As much as I enjoy always to carry a good camera, a lot of situations demand very fast action, also when the N8 is in the pocket. In theses situations, having to unlock before starting the camera by pressing the camera key is a delay. Not having to unlock first would be great! Its not part of official firmware. Sadly. Can we resize the widgets???? 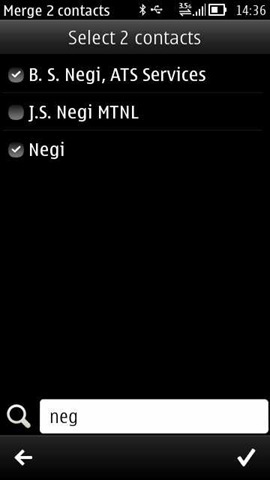 I heard that resizeing of widgets is possible in belle for n8. Nope. Not possible in Belle even as I know. 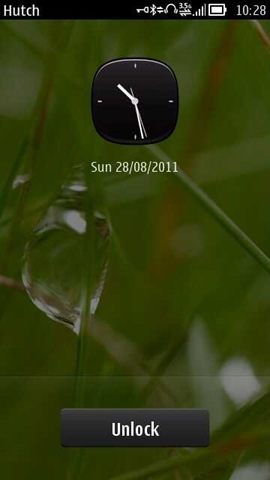 Different sized widget but not resizable Widgets. Resizable Widgets coming in Carla only. 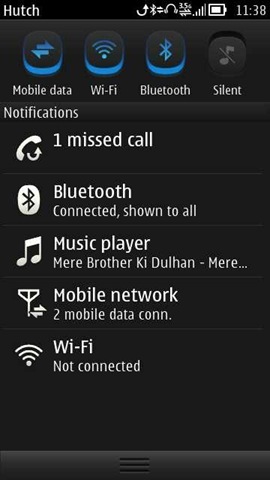 Can we add or modifiy any thing in the status bar.by default we have mobile data ,wi-fi,bluetooth and silent mode..
i installed the latest leaked version 111.030.0609 but it does not have the Nokia Social widget? Is it some bug or…? i really liked the social widget for reading newest tweets and updates on facebook. btw, if we pressed camera button then camera ready to take shot (even we lock the screen ). That great strategy, i miss my n82 when i opened the lense, the camera ready to take a shot (even if the phone locked), that will make prepearing the camera to take a shot ‘a moment’ is fast, fun & easy. 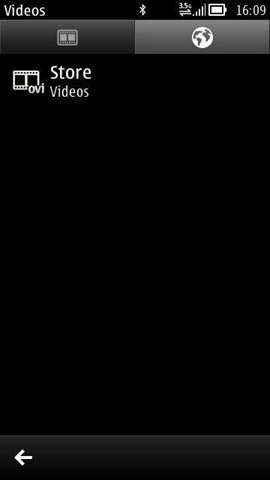 I noticed my Nokia E6 notifies me through a short ring tune whenever battery is running low at certain percentage and the digital clock on my lock screen moves from left to center as battery drains. Do you have any idea at what percentage it notifies and again at what percentage of remaining battery the clock moves from left to center?